Darjeeling is a place of contrasts right now. Life has resumed throughout the district. Once again, the roads, shops and hotels are open, the tea plantations too. But there is much work to be done, as the tea plants have disappeared beneath the weeds. This is not serious for the shrubs, they’re in good conditions, but all the vegetation needs clearing, and then the precious camellia sinensis must be cut back to their initial size. Sadly, there is a lack of manpower in Darjeeling. 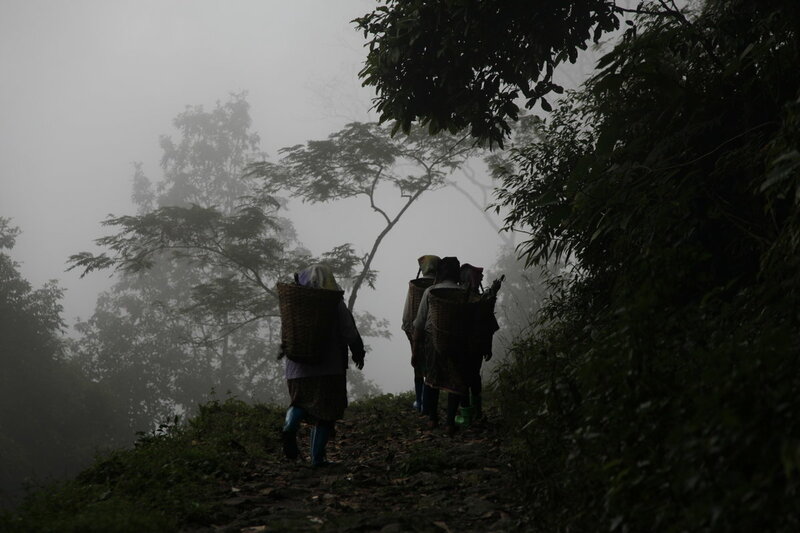 During the three months of protests in favour of regional autonomy, many men left the mountains to find work elsewhere. And now, the plantations don’t have enough people to do the clearing and cutting back. Yet this work is essential if there is to be a good harvest next spring, otherwise there won’t be enough Darjeeling tea, and fake Darjeelings, which are already in circulation, will flood the market. That would be a catastrophe for Darjeeling, and I hope with all my heart it will never come to that. We will have to pay close attention to the situation. The situation in Darjeeling has become dangerous. All the shops have shut, the hotels have closed, the roads are blocked. Work has ground to a halt on the tea plantations….